Night Owl Optics provides highest quality optics with multi-layered protective coating for increased light transmission. Trust Night Owl Optics. POLICE, LAW ENFORCEMENT, MILITARY, GOVERNMENT ORDERS WELCOME - Call for best price! 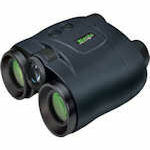 Night Owl NexGen night vision binoculars are generation 1 devices with either 3x or 5x magnification. Both are dual tube models in a sleek, shock resistant housing.